I need a presentation folder designed for our upcoming trade show to hold our one-page flyers. It will be two sided, full colour print. One pocket on the right side. 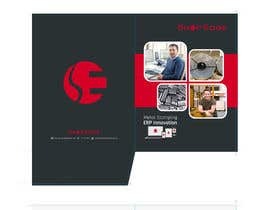 Design template is attached. The design needs to be submitted via pdf, but I would also like the raw design files (i.e. InDesign, Illustrator, Photoshop, etc.). If you are also designing onto the pocket, the image for the pocket area only needs to be rotated 180 degrees as this gets folded into the inside and glued. 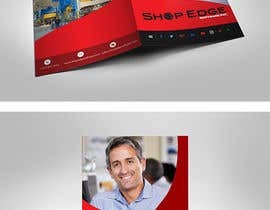 For the proposed graphics for the inside of the folder, the full 9” x 12” Right panel is available for your image. On the Left panel, from the top down, you have approx. 9” of viewable area to work with. 2. All images must be CMYK at 300 dpi. 3. Embed or outline all fonts. 4. The job must be uploaded as one file - for 2 sided jobs, merge the sides together to upload the job as one PDF, two different pages. 5. The orientation of the file should be head to head. 6. Black type should be 100K (C0, M0, Y0, K100). 7. Large black areas should be in rich black (C50, M50, Y50, K100). 8. Make high res PDF-X1a from your working file and submit this for print. 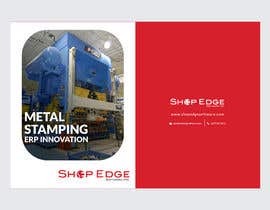 Front: Must include logo, "Metal Stamping ERP Innovation"
Inside left: Leave space/text box for around 50-75 words for description of company/products. 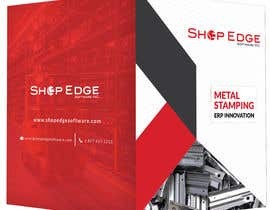 Inside Right: "ShopEdge offers a comprehensive ERP Software solution for Metal Stamping and repetitive manufacturing environments with a strong shop floor focus." And list of modules (maybe bullet point? 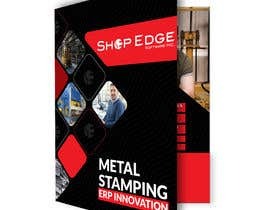 ): "Production Scheduling & Inventory Control, Purchasing & Supply Chain Management, Material Requirements Planning, Integrated Financials, Machine Integration, Android Application, Shop Floor Messaging & Management, Electronic Data Interchange (EDI), Advanced Product Quality Planning (APQP), Quality Assurance, Business Intelligence"
Back: Must include logo, website ([login to view URL]), phone number (1.877.417.1212), email address (sales@[login to view URL]). Various pictures and other media attached for use in the design. If you have questions or need clarification send me a message. Thanks! Check #27 I have made some more for you. Some pictures did not upload, I added more for you to use in the designs. Thanks! Hello, I didn't see the template that you suggested we use for this project attached.